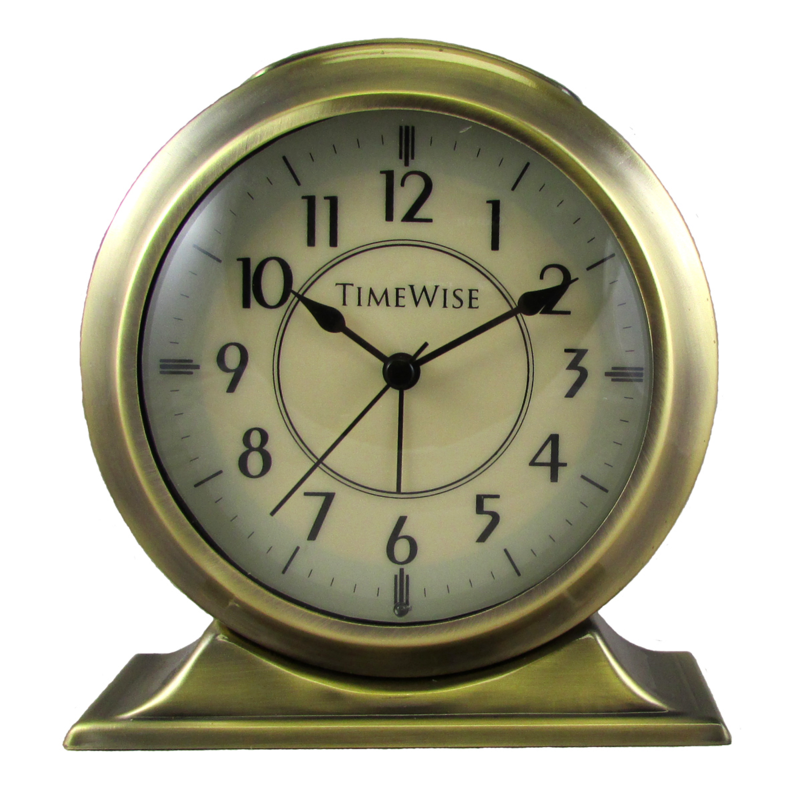 The Collegiate brushed gold analog alarm clock is a battery operated alarm clock that boasts lots of great features. It has a vintage retro look that will compliment just about anyone's decor. It has a silent sweep (no ticking) second hand and an optional dial light sensor for night visibility or only on demand.